Karma, a dual purpose Belgian Malinois, trained in suspect apprehension, narcotics detection, and tracking. Karma was born, raised, and trained here at our facility. She was donated to Chief Shue and the Fox Fire Police Department in North Carolina where she is proudly serving our country with her handler Chief Chad Shue. Ivy, a dual purpose Belgian Malinois, trained in suspect apprehension, narcotics detection, and tracking dog that was born, raised, and trained here at our facility. She was purchased by Southern Pines Police Department in North Carolina where she is proudly serving our country with her handler Sgt. Jason Embler. Mary, a Belgian Malinois, is a narcotics detection and tracking dog that was purchased by us and trained here at our facility. She was then purchased by Southern Pines Police Department in North Carolina where she proudly served the community with her handler Officer Kevin Dean. Mary is now retired and living out her life with handler/owner Officer Kevin Dean. Royce, a Labrador Retriever, trained in narcotics detection and obedience, is proudly serving the community and surrounding areas of Barboursville, West Virginia with his handler Officer Michael Brumfield. 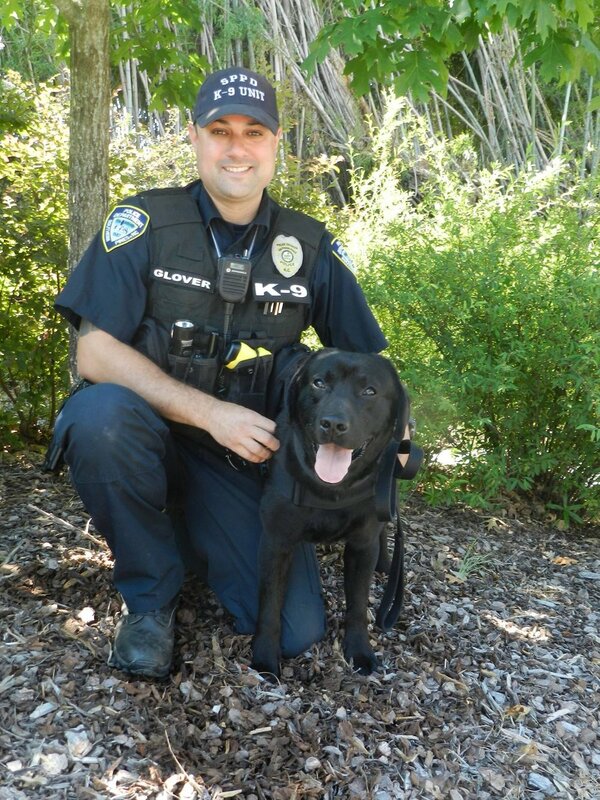 Jacky, a Labrador Retreiver, trained in narcotics detection, human scent discrimination tracking, evidence search, and obedience, is proudly serving the community and surrounding areas of Southern Pines, NC with his handler Officer Mike Glover. Nemrud, a Belgian Malinois, is a trained family protection dog that was bred and trained here at our facility. He currently is placed in New Jersey where he lives and protects his family. Micci, a Labrador Retriver, was a "green dog" that sold to a private company to go on to become an explosive detection dog for the Marine Corps. Foxy, a Dutch Shepherd, trained in Narcotics Detection handled by Officer Michael Baddour. Chops is a single purpose Labrador Retriever, trained in narcotics detection and obedience. Chops is currently serving Laurens County Sheriffs Department. Whiskey is a single purpose Labrador Retriever, trained in narcotics detection and obedience. Whiskey is currently serving Laurens County Sheriffs Department. Titan is a dual purpose Belgian Malinois, trained in patrol work, narcotics detection, human scent discrimination tracking, and article searches. Titan was born in Belgium and then imported and raised here at our facility. He is currently serving in Southern Pines Police Department located in North Carolina.